The Metropolitan Mounted Police Activity Ride will be performing on all three Show days. The ride provides a fast moving display demonstrating a high level of skill and agility from both horse and officer. Inch perfect timing, total commitment, professionalism and complete trust are required as horses jump through fire, a solid paper wall and complete fast crossovers. The riders remove their stirrups, tunics and saddles whilst riding their horses over a series of bush jumps. All the riders, horses and ground staff are operational and have been carefully selected because of their commitment and riding ability. The ride was started in the 1950’s for displaying the skills of the Mounted Branch Officers and the incredible training of the horses at the annual horse show held at Imber Court. The officers taking part are all riders who are normally patrolling one of the world’s busiest cities as part of their duties in the Metropolitan Police Mounted Branch. These police officers and their horses are also very highly visible when engaged in controlling crowds at sporting events or public ceremonies. They are fulfilling a tradition of service which goes back to the eighteenth century – to the very roots of police work in London. The unit is now made up of 130 horses and 150 officers although it is estimated that a trained Mounted Officer on a trained horse can be as effective as a dozen officers on foot.  The Activity Ride will be housed in stabling at the Kent County Show and visitors will be able to see the brave and fearless horses whilst resting. They will be at The Heavy Horse Village, part of the Equine section along with the wonderful shire and other heavy horse breeds.